Great Britain international Ben Barker top scored for Plymouth as they overcame Berwick Bandits 53-35. Barker dropped just one point to an opponent, with team-mate Ryan Fisher (10+2) providing excellent support. Plymouth took the lead in the very first heat after a 5-1 courtesy of Barker and Todd Kurtz. It was a lead they never relinquished, but only made safe after another maximum-heat win from Jake Anderson and Cory Gathercole in heat 12. That gave the Devils a 10-point lead at 40-30 with just three races remaining. Barker and Fisher then teamed up twice to ensure Plymouth took maximum points from the encounter. 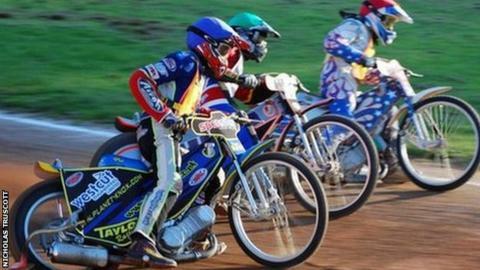 The win was however marred by a pre-match protest by the Plymouth riders over a pay dispute. An agreement between riders and management was finally reached just an hour before the meeting meaning the match was able to take place. Plymouth go into their final league match of the season with Newcastle on Friday knowing a win could still qualify them into the end of season competitions.